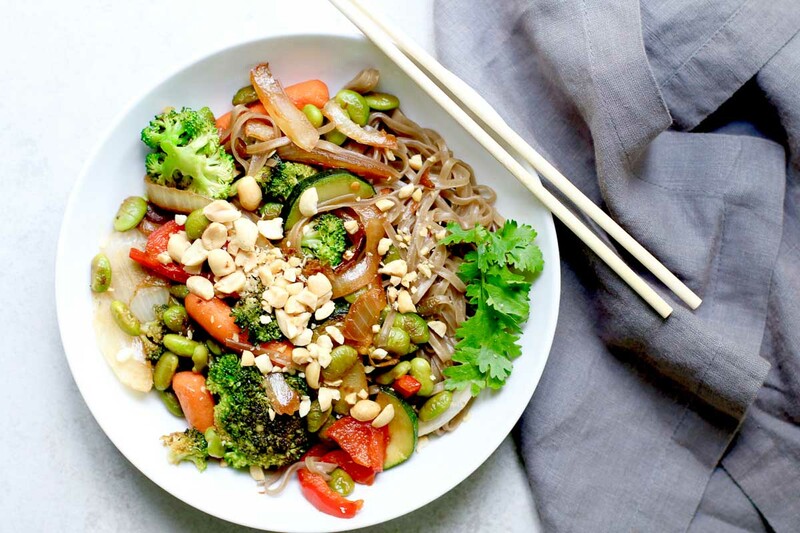 This easy vegan stir-fry takes only 10 minutes from start to finish and includes a homemade stir-fry sauce. Serve it with noodles for a complete meal. Summer is still very much at play here in Atlanta but it’s back to school season and we are all working to get back into a regular weeknight routine. Because healthy eating can fall by the wayside when we’re busy, I’m excited to share this easy and healthy recipe that comes together in only 10 minutes. I shared this recipe with 60+ people during my recent dinnertime demo all about School Night Dinner Hacks. 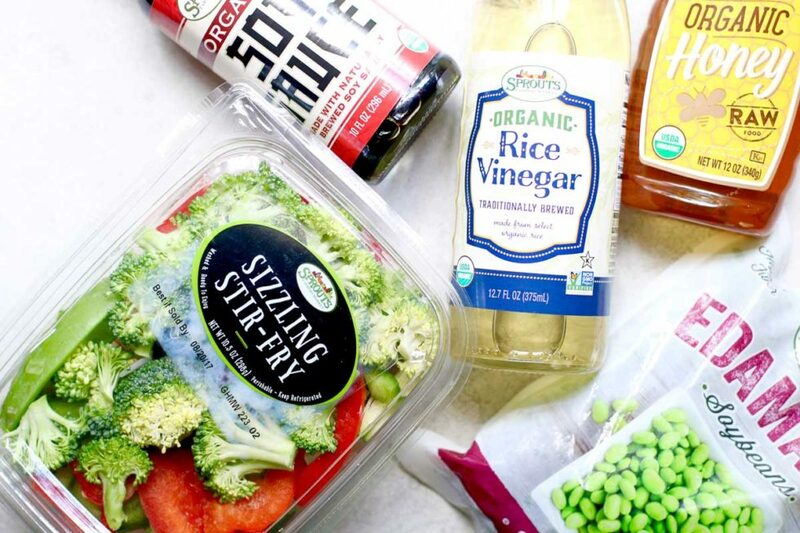 It includes a homemade stir-fry sauce that you can easily make in a jar, frozen shelled edamame, and precut and prewashed stir-fry vegetables. 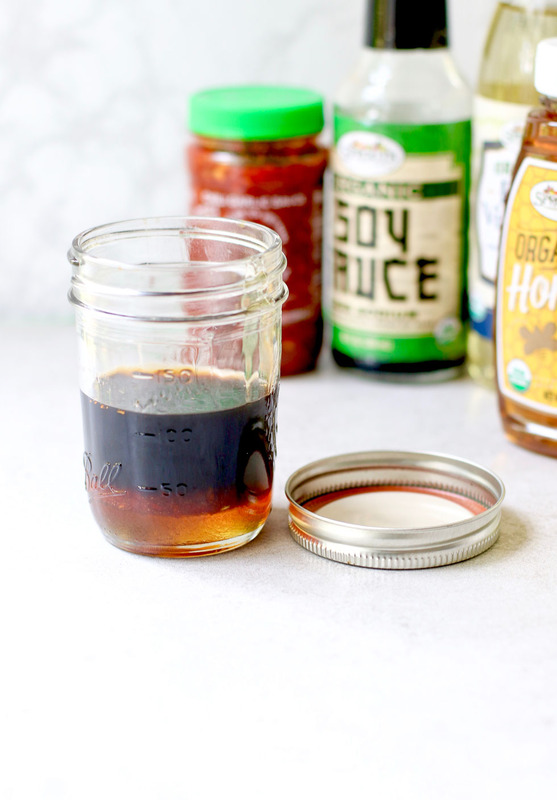 The stir-fry sauce comes together in a minute because you only need to shake soy sauce (or tamari or liquid aminos for a gluten-free version) with rice vinegar, sesame oil, honey, chili paste, and fresh ginger in a jar. Pour some into sauteed vegetables and save any leftovers for another day. 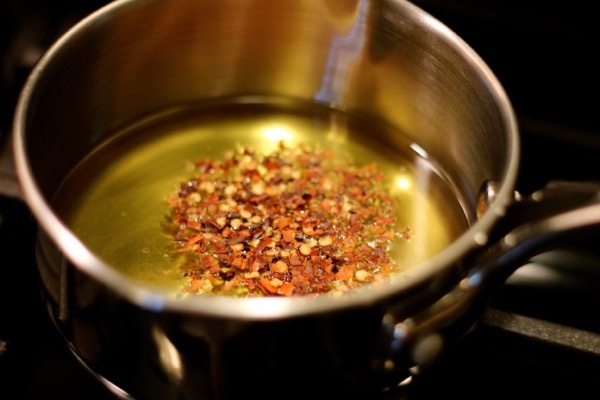 Once the sauce is ready, heat a skillet with a little sesame or peanut oil. Saute your favorite stir-fry vegetables and edamame and add the sauce and noodles (if you want). Dinner is done! I used soba noodles in this one but you can also use rice noodles. Both are convenient because you only need to boil water then soak the noodles until soft. I like soba noodles because with 8g protein per serving, these noodles are more filling than regular ones. Rice noodles are perfect for anyone who needs to follow a gluten-free diet. You can also serve this over cooked quinoa or just eat it as is. Some of the other “hacks” we discussed include using tahini to create a creamy dressing for salads and the many different ways you can use a bag of coleslaw! What are some of your dinner time shortcuts? Let me know in the comments! 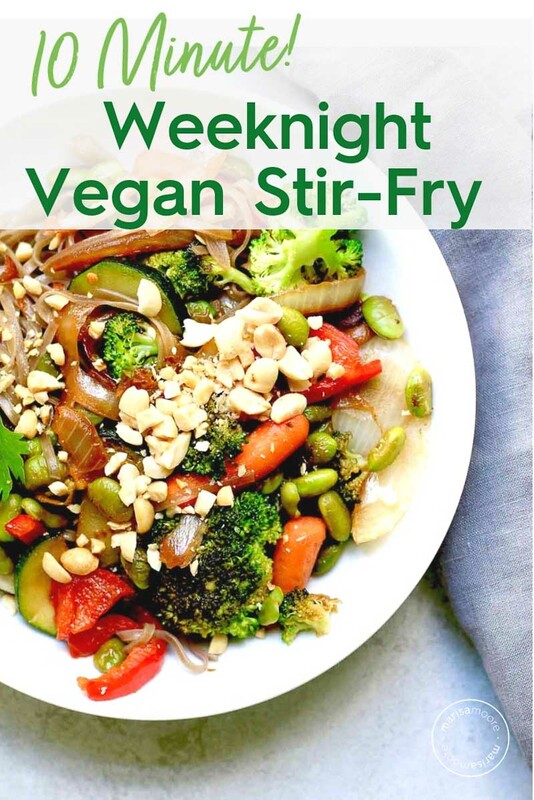 This easy vegan weeknight stir-fry takes just 10 minutes from start to finish and includes a homemade stir-fry sauce! Serve it with noodles for a complete meal! Prepare the noodles according to package directions. Set aside. In a jar with a lid, combine the soy sauce, 1 tbsp sesame oil, honey, vinegar, chili paste, and ginger to a jar with a lid. Seal and shake. Heat the remaining sesame oil in a large skillet or wok over medium-high heat. Swirl to coat the pan. 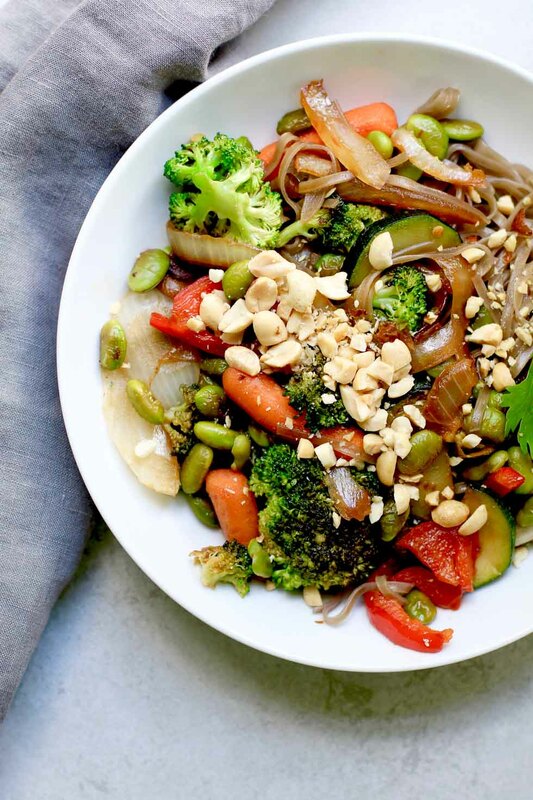 When hot, add the stir-fry vegetables and frozen edamame to the skillet. Cook about 5 minutes, stirring occasionally, just until the vegetables are crisp tender and slightly seared. Add the stir-fry sauce* and noodles (if using). Lower heat to medium. Toss to coat and heat the sauce through. Turn off the heat. Add to a serving bowl. Top with crushed peanuts and cilantro or scallions. *If you’re not using noodles, pour in only half the stir-fry sauce. Save the leftover sauce in the sealed jar and use it within the week. 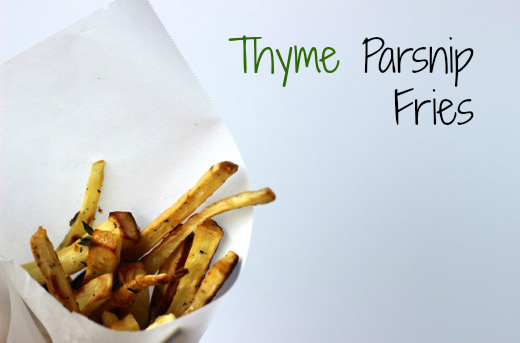 **Make this recipe gluten-free by swapping soy sauce for tamari or liquid aminos. White Bean and Rosemary Spread + Fertility Foods Cookbook Review!